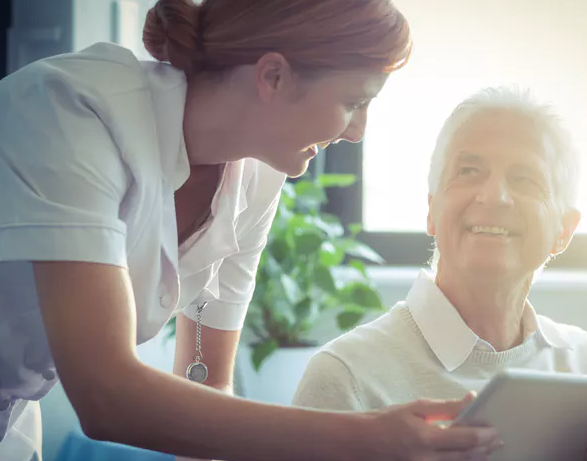 More than 50 per cent of care home residents are being prescribed medicines that they do not need, or which do not properly address their health problems. Antipsychotics, for example, are often overused to treat the behavioural and psychological symptoms of dementia. But this problem is not easy to remedy. The overuse of medicines for older people is an issue of multiple layers. Some may have been taking the same medicines at the same doses for many years, even when the underlying problem has been resolved. There is a reluctance to stop prescribing based, in part, on the potential risks of medication withdrawal, as well as the resources needed to manage any symptoms that re-emerge (the British National Formulary recommends monitoring patients for two years after discontinuation of medication). Adverse drug reactions from mental health medicines can be life threatening (for example, they can cause heart problems), debilitating (causing drug-induced Parkinsonism, muscle coordination problems, blood pressure falling on standing) or subtle (with symptoms such as dry mouth, incontinence). They may also be mistaken for signs of ageing or an underlying disease. They can be overlooked too, leading to behaviour problems, poor food and/or fluid intake, tremors, restlessness, sedation, pain, double incontinence or other problems – all of which can cause loss of comfort and dignity. Some 18 per cent of the 13,699 incident reports and 24 per cent of 996 deaths or serious harms in UK primary care from 2005-2013 were attributed to prescription medicines, mainly from avoidable adverse reactions. And this was largely due to inadequate monitoring, communication or decision making. At present there is no comprehensive system to address these problems, so we suggest closing this care gap with a new, formalised and structured profile of patient checking and medicines monitoring, called ADRe Profiles. While most evidence of harm comes from looking over large databases after the event, our system is forward looking. The profiles aim to prevent adverse reactions through regular monitoring, and by fixing problems at an early stage as an integral part of care, before they can become serious. It is essentially a straightforward checklist, with supporting information, to be completed and then discussed by all health professionals involved with in a patient’s care. It helps professionals identify and address any undesirable side effects of medicines, and ensures they are dealt with before they become serious enough to impair people’s lives or require urgent care. We have been working with 10 care homes across South Wales to test the profiles, and found that in each use, a problem was highlighted or identified. If implemented nationwide, this would provide robust data to identify the true scale of the problem of unnecessary prescribing to older people, while at the same time helping those in need. The care home professionals who used the profiles said that they gave them confidence to question and communicate with prescribers. Care home managers, meanwhile, reported reductions in doses of antipsychotic medicines, as a direct result of use of the profile system, which led to residents being less sedated, sleeping better and feeling brighter, and having fewer problems. As well as helping to prevent adverse reactions, in some patients, the profiles identified and addressed previously unsuspected problems. These included aggression (and its causes), heart problems, seriously high blood pressure, Parkinsonism due to prescribed medicines, pain (from joints, mouth ulcers and poorly fitting dentures, for example), risk of falls, chest pain, nausea and pancreatitis caused by the drug valproate. No harms have been reported from use of our system, and everyone has benefited to some extent. ADRe Profiles take 10-30 minutes to complete and become easier with repeated use and experience. This costs about £20 in a junior nurse’s time. By contrast, if a care home resident falls and breaks a leg, for example, a complicated fracture can cost £14,163 in the first year and £16,302 in the first two years following the incident. GPs and specialists who prescribe typically see care home residents very briefly for review. But those working in care homes see the subtle, gradual, unpleasant adverse effects of medicines everyday. And by using the profiles, these professionals can contribute to medicines management and prescribing decisions. The benefits here are clear. The main barrier is simply staff taking time to become familiar with the system, and balance their priorities. The profile system closes the medication loop because it gives care home professionals – who really know the patients best – a voice, a strategy and knowledge to raise their concerns with prescribers.